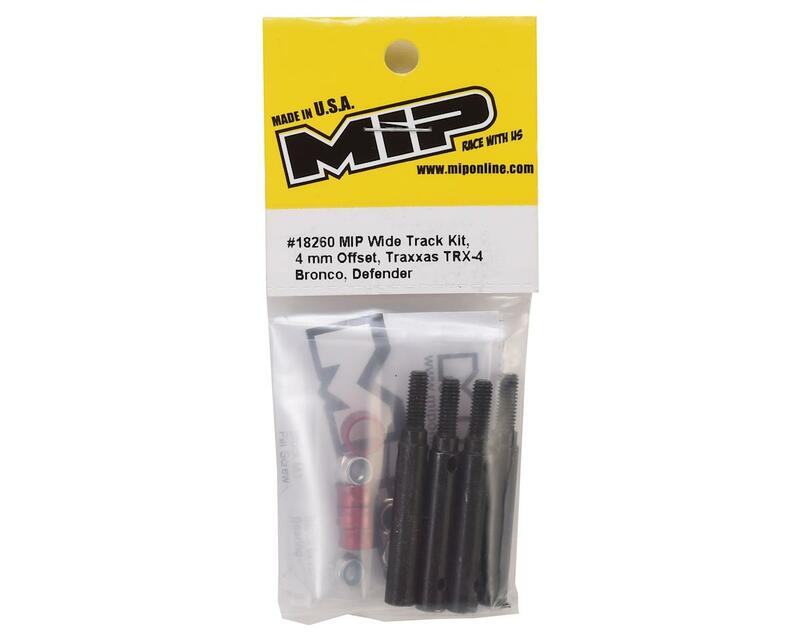 The MIP TRX-4 Bronco/Defender 4mm Offset Wide Track Kit makes it easy to gain the clearance needed to run larger front tires. Plus, the 8mm track width increase makes the truck more sure footed in difficult terrain and better suited to handle increased power. 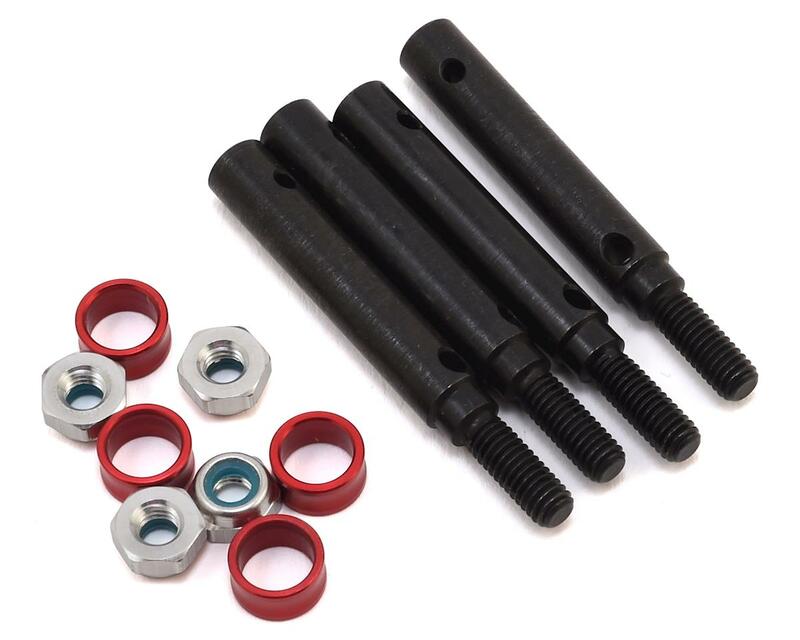 Using 7075-T6 machined aluminum spacers and heavy duty alloy steel axles the MIP Wide Track Kit will effectively widen the TRX-4 Defender vehicle by 8mm (4mm per side). Get the stance that your rig needs to perform to its optimum potential and increase your modification capabilities.